Tens of millions of wild animals are killed each year by land clearing across Australia, according to our research on the harm done to animals when native vegetation is removed for agricultural, urban and industrial development. As my colleague Nahiid Stephens and I point out in our study, this harm to animals is largely invisible, unlike the obvious effects of clearing on trees and other plants. But just because something is invisible, that does not mean it should be ignored. We argue that reforms are necessary to ensure that decision-makers take wild animals’ welfare into account when assessing development proposals and land clearing applications. How does land clearing harm animals? Land clearing harms animals in two basic ways. First, they may be killed or injured when native vegetation is removed, typically through the use of earth-moving machinery. For example, animals may suffer traumatic injuries or be smothered when vegetation is cut or soil and debris are shifted. Second, the removal of native vegetation puts animals in harm’s way. Those that survive the clearing process will be left in an environment that is typically hostile, unfamiliar or unsuitable. Animals are likely to find themselves in landscapes that are devoid of food and shelter but filled with predators, disease, and increased aggression from members of their own species as they struggle to make a living. Land clearing causes animals to die in ways that are physically painful and psychologically distressing. Animals will also suffer physical injuries and other pathological conditions that may persist for days or months as they try to survive in cleared areas or other environments to which they are displaced. Many reptiles and mammals are territorial or have small home ranges, and thus have strong associations with small areas of habitat. 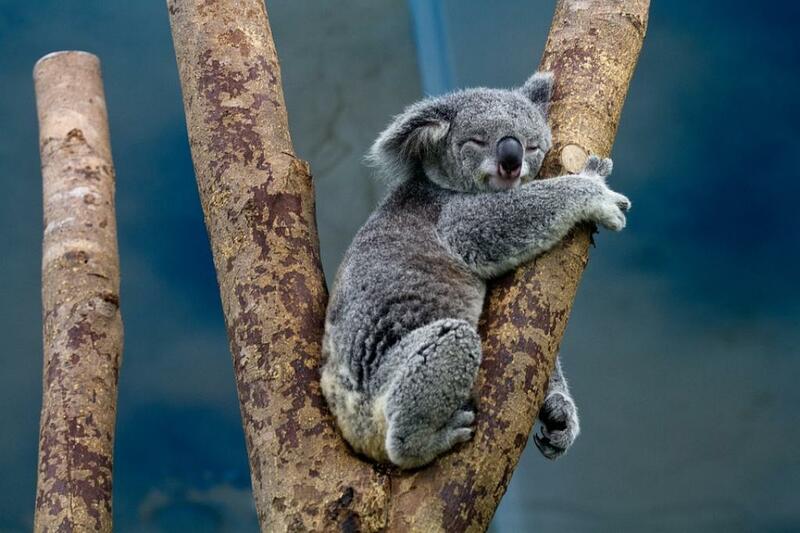 Koalas in urban areas, for example, tend to rely on particular food trees. Likewise, lizards and snakes often rely on particular microhabitat features such as logs, rocks, and leaf litter to provide the combination of temperature and humidity that they need to survive. Land clearing remains a fundamental pressure on the Australian environment. 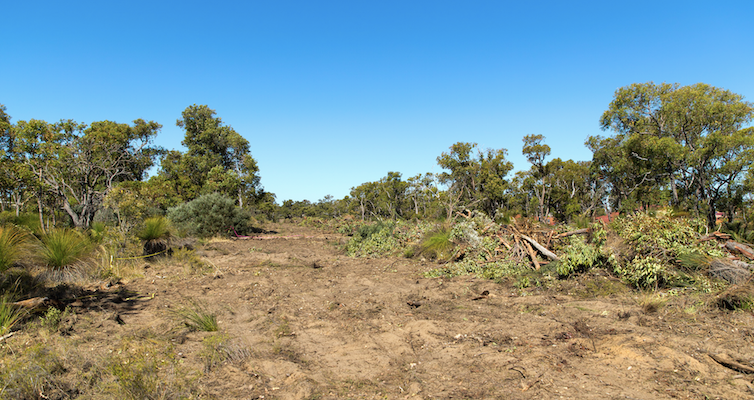 While the regulatory frameworks for land clearing vary greatly across the Australian states and territories, the principal statutes that govern native vegetation clearance in most jurisdictions typically contain some sort of express recognition of the harm that land clearing causes, such as the loss or fragmentation of habitat, land degradation, and salinity. Yet these regulations are uniformly silent on the issue of how land clearing harms animals. No state or territory has developed a clear framework to evaluate this harm, let alone minimise it in future development proposals. This failure to recognise animal welfare as a significant issue for decision-making about land clearing is troubling, especially given the scale of current land clearing. In Queensland, for example, an estimated 296,000 hectares of woody vegetation was cleared in 2014-15, nearly all of which was for the purpose of converting native vegetation to pasture. In our study we estimate that, on the basis of previous studies and current estimates of clearing rates, land clearing in Queensland and New South Wales combined kills more than 50 million birds, mammals and reptiles each year. We suggest that two basic reforms are required. First, state and territory parliaments should amend the laws that govern environmental impact assessments and native vegetation clearance, to require decision-makers to take animal welfare into account when assessing land clearing applications. Second, we urgently need accurate ways to evaluate the harm that proposed clearing actions may cause to individual animals. Animal welfare is broadly recognised as an important social concern, so it makes sense that in a situation where we know animals are being harmed, we should take steps to measure and prevent that harm. The basic aim of any reform should be to ensure that the harm that land clearing causes to individual wild animals is appropriately considered in all forms of environmental decision-making and that such evaluations are based on clear and objective criteria for animal welfare. At a minimum, those who apply to clear native vegetation should be required to provide an estimate of the number and type of native animals that will be killed by the proposed land clearing. This would ensure that all parties – applicants, decision-makers, and the community – understand the harm that the clearing would cause. These estimates could be made by using population density information for species that are likely to be affected – an approach that has been already been used. We also need to revise our perceptions about the usefulness and necessity of land clearing in Australia. A better idea of what is “acceptable” would include not only the environmental costs of clearing an area of native vegetation, but also the individual suffering that animals will experience. Issues of causation and responsibility are critical here. While it’s unlikely that someone who wants to clear land actually wants native animals to suffer, such suffering will nevertheless be an inevitable consequence. The relevant question is not whether animals will be killed and harmed when land is cleared, but how much of that harm will occur, how severe it will be, and whether it ought to be avoided. If such harm is deemed necessary – based on an accepted system for weighing the potential benefits and harms – the next question is how the harm to animals can be minimised by, for example, keeping the amount of vegetation to be cleared to a minimum.